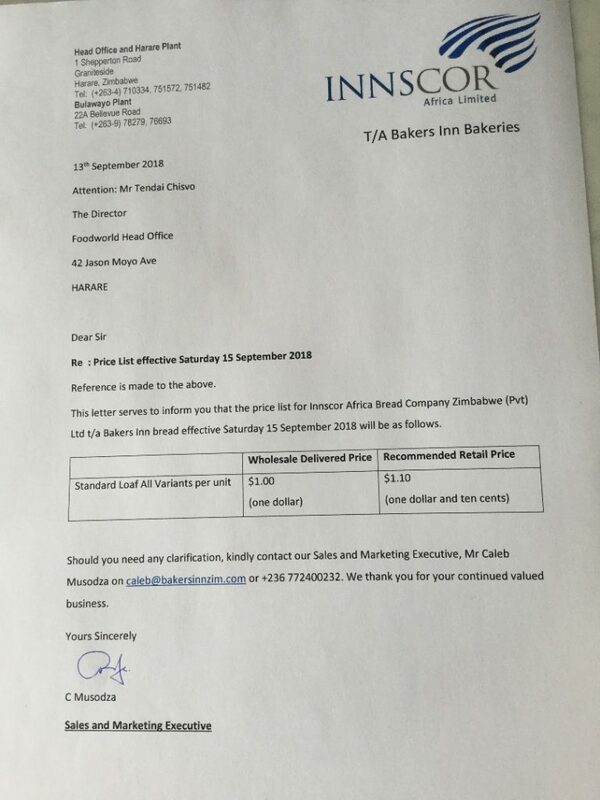 The price of bread is set to increase by 10 cents starting this Saturday according to a memo from Innscor memo to Food World. This comes after the Grain Millers Association of Zimbabwe (GMAZ) warned that the country faces an imminent shortage of bread due to low levels of wheat. Innscor are the makers of Bakers Inn Bread.